Despite the accomplished artistry evident in his work, Charles Robertson’s achievement as a painter is little known today. English-born, he lived for some years at Aix-en-Provence in France and travelled to Algeria (a mainly French artistic territory) in 1862. The following year he made his debut at the Royal Academy. Subsequent travels to Turkey in 1872, Egypt and Morocco in 1876, Constantinople, Jerusalem, Damascus and Cairo in 1889, provided Robertson with abundant material for the orientalist tableaux – both genre scenes and imaginary subjects – he would produce for the remainder of his career. By the time Robertson produced Bazaar gossip in the mid 1880s – in emulation of the artist John Frederick Lewis, who had exhibited a series of critically acclaimed Cairo-inspired watercolours in the 1850s – imagery of Middle Eastern bazaars had become a well-worn category within the repertoire of orientalist themes available to Victorian painters. 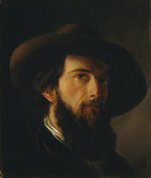 Robertson was elected an associate of the Royal Society of Painters in Water Colours in 1885 and a full member a few months before his death in 1891. He also exhibited with the Royal Institute of Painters in Water Colours, and served as vice president of the Royal Society of Painter-Etchers and Engravers. 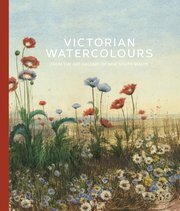 A posthumous exhibition of orientalist and English landscape watercolours by Robertson was organised by the Fine Art Society in 1892.